Diego, a young and successful photographer, lives in the glamorous but shallow and excessive world of fashion. A tragic accident turns his world upside down; his partner Fabrizio is now in a coma. Unexpectedly, and right at this inopportune time, Diegos estranged son Armando shows up. Now, both of them have to adapt to each other; Armando to the unknown, homosexual world of his father, and Diego to the closed attitude of his teenage son. 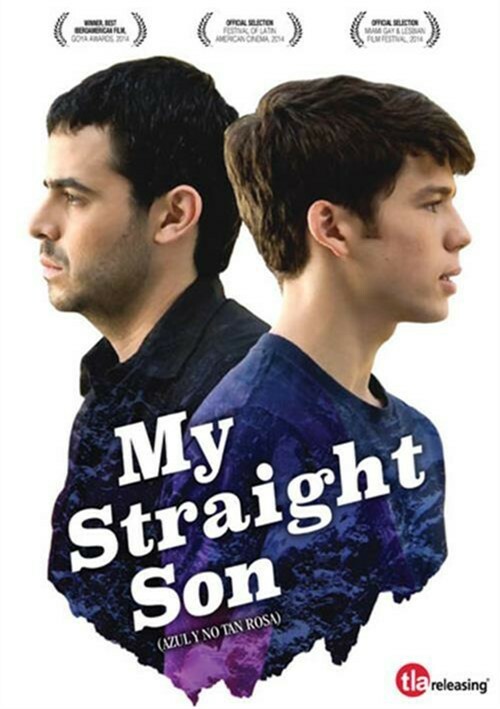 My Straight Son is dramedy that will both touch and amuse. Diego is a young and successful photographer that lives in the glamorous world of fashion, shallowness and excess. Everything changed for him when there was a terrible accident and his partner is left in a coma. Now Diego must care for his son, Armando. They both must adapt-Diego to the straight world of Armando and his son's attitude toward it and Armando to the gay world of his father which he resents. Venezuela has not had a great deal of success outside of the country in the world of film and this is probably because most of the films have dealt with the poverty in parts of the country. Director Miguel Ferrari changes that with a look at another aspect of Venezuelan life. This is his first film and one of the first films to deal with homosexuality in Venezuela. There is no discussion of gay rights in the country and among the people there are hate crimes against gay or transsexual people and other kinds of discriminations are always present in every level of life. Miguel Ferrari uses that as his subject here knowing well that his film will have a limited audience and he does it in such a way that manages to get people to look at the situation. From the very first scene we realize that we are about to see a quality film in which the sound, music and photography are well done. The characters are well drawn and everything works.. While the film moves slowly, it never bores and aside from the overall gay theme, it also deals with transgender and weight issues as well as domestic violence. Overall, we can that this is a film about diversity and the different kinds of love that we can feel-family, friends, romantic, for the work we do so and the love of ourselves. The film captures a true picture of the current Venezuelan society and its discrimination to minorities (not exclusively sexual). We also see something about attitude and also excess, lack of responsibility, the need for a better future and the absence of opportunities in the country, violence and impotence against injustice, love and prejudice, and familial ties. It is something of a protest that gets heavy as the plot moves forward. We identify with the characters and suffer and love with them. Ferrari breaks the stereotypes that have been used in so much film. In his debut film, "he presents a thesis which is certainly quite complex: intolerance for sexual diversity is a topic which is naturally difficult to address and that the director handled the film with a very positive simplicity, however the story tries to cover multiple frames as domestic violence, lack of communication between parents and children, gender change and low self-esteem, which, although they are strongly linked to the central idea, causes a slight imbalance in the argument". Sexual diversity has been a relatively unexplored subject as a central theme in Venezuelan film until now and what a great way to bring it out.